Mobo and Robo are the coolest villains you'll ever meet- they rob banks, museums (and innocent computer gamers of their sanity). One evening whilst watching TV a mysterious stranger appeared on screen. "Good Evening Boys I've got a job for you... My businesses are being robbed and I need you to test my security systems... Deliver the goods and I'll reward you." Take control of Mobo and Robo and guide them around the various establishments, collecting evidence on the way. 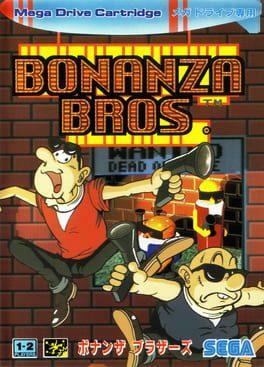 Bonanza Bros. is available from 2.49 to 2.49 from 1 shops.